If deer treat your yard like their own personal buffet, have no fear! These tried and true flower bed beauties ​will have them turning up their noses like a toddler to his broccoli! 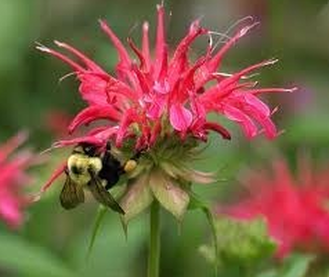 Bee balm offers a ton of value: it's a beautiful, perennial with a long bloom life. It's bright flowers bloom like an annual in the Pasadena summer; It's every bee and butterfly's friend but deer and rabbits largely leave it be. And did I mention what a beauty it is as a cut flower? 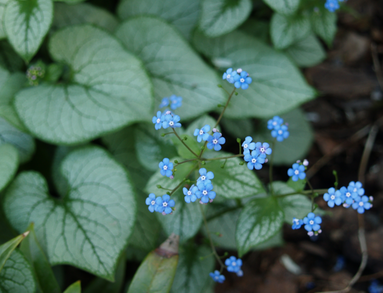 A lovely shade plant most gardeners have never even heard of, brunnera produces beautiful clusters of tiny sky-blue flowers in spring. For an especially stunning look, search out the variegated selections such as 'Looking Glass' or 'Jack Frost' and you will enjoy its beautiful foliage straight through frost, all the while deterring deer from your beds. Catmint can't be beat for a dependable, long-blooming perennial in your full sun flower beds in Pasadena, MD. 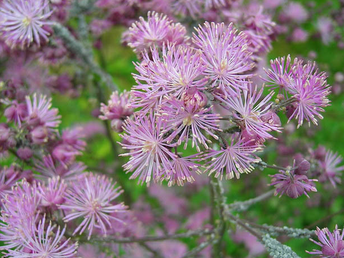 It bears lovely clusters of lavender or blue flowers all through summer and straight into fall. 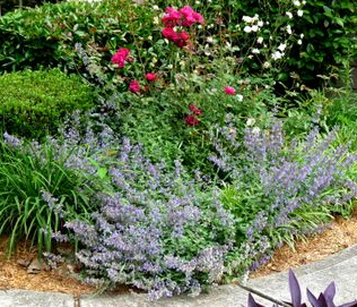 Not to mention, catmint's scented, gray-green foliage looks fabulous when coupled with a pretty ground cover under your roses! Cats really love this stuff, so be prepared to make new friends! 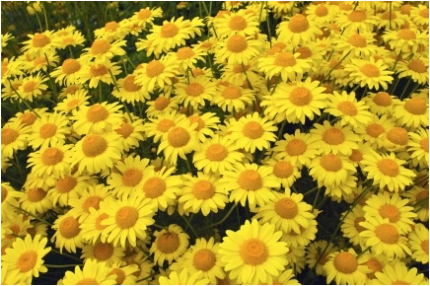 Fill your Pasadena MD garden with cheer with Golden Marguerite or Golden Chamomile. Its yellow, daisy-like flowers are reminiscent of the old-fashioned perennial, only it has fuzzy leaves that deer dislike. Not to mention the blooms are also great for cutting! Hint: Cut back after flowering for new growth and many more blossoms. This unique perennial is a great variety for shady gardens; it sends up a striking flower in spring and has deep, dark green foliage. Even though the leaves fade in summer, the fruits don't, leaving behind a stalk of stunning red berries to decorate your Pasadena MD landscape throughout season's end. 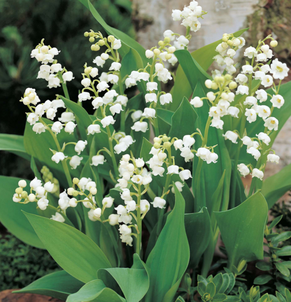 Enjoy the low care nature and sweet scented blooms of your Lily-of-the-Valley every spring. This deer-resistant shade-loving ground cover proves a quick spreader in your shady retreat. Hint: Make sure to keep these watered throughout the summer months, otherwise, the leaves will show brown, ragged edges. This is an all time favorite perennial. It's a spring bloomer with great foliage. 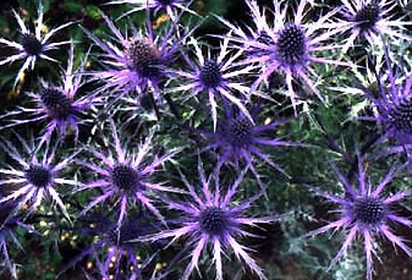 The long-lived, silver freckled, splashed or spotted leaves glimmer in the front of your shady flower bed from spring through frost. 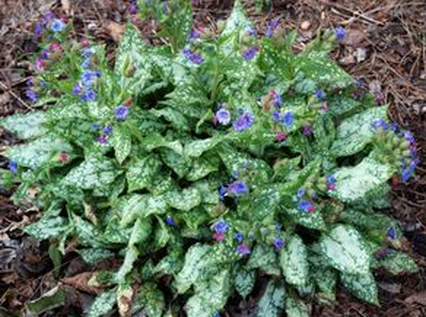 Because lungwort is covered with coarse hair, deer dislike it and steer clear. 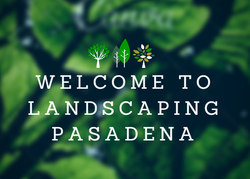 This lovely ground cover can be found with blue, pink, or white blossoms. Meadow Rue's pretty foliage looks similar to that of its cousin, the columbine. Its clouds of fluffy purple, pink white or yellow blooms set it apart as they float about the plant creating as soft, magnificent texture. It's hard to say what this plants best feature must be...perhaps that it's incredibly deer and rabbit resistant...or that it takes dry, hot conditions like a champ...or that it's great as a cut flower. Plant it and see for yourself! 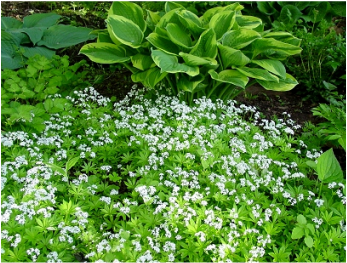 Not to be overlooked, another delightful ground cover for shade, quick growing Sweet Woodruff offers a fine foliage and clusters of aromatic white flowers in the early summer. 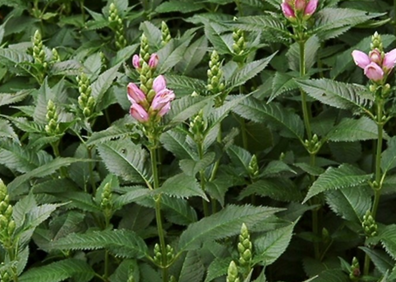 Strike up an neighborly conversation in your garden with the humble plant known as Turtlehead. Visitors just have to ask "what is that?!" when they see its pink or white blossoms in late summer into autumn. 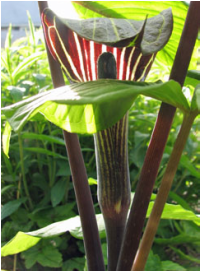 They're likely to chuckle when you tell them its name and show them the how the bloom's shape inspired its name. 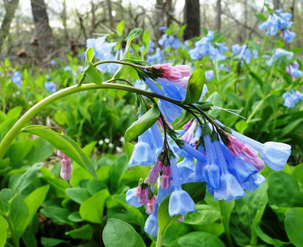 A wildflower native to eastern North America, this charming perennial springs up in collections of true-blue flowers. By mid-summer, it goes dormant (so partner it with plants such as Lungwort or Epimedium), but it proves its worth in its blooms and fact that deer will leave it alone. A superb shade-loving groundcover, Wild Ginger features heart-shape leaves and spring-time flowers. 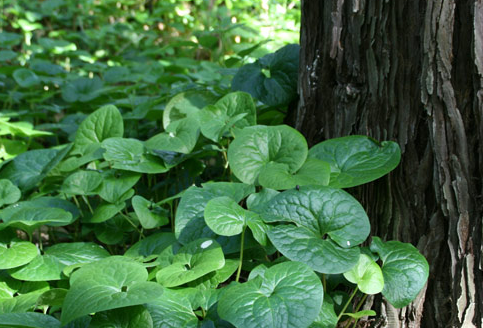 Due to those fuzzy leaves, deer stay well away from the Canadian variety of wild ginger.